Key economic data and upcoming quarterly results are expected to flare up volatility in the Indian equity markets in the coming week, market observers noted. The Indian equity markets have performed stellarly since September 29, when the Reserve Bank of India (RBI) cut key lending rates by 50 basis points. The two Indian bellweather indices closed last week with gains of three percent. Market experts pointed out that the sharp rise might lead to a short-term correction led by profit-bookings, as investors decide to unwind their investments before the key economic data of factory output and inflation are released. 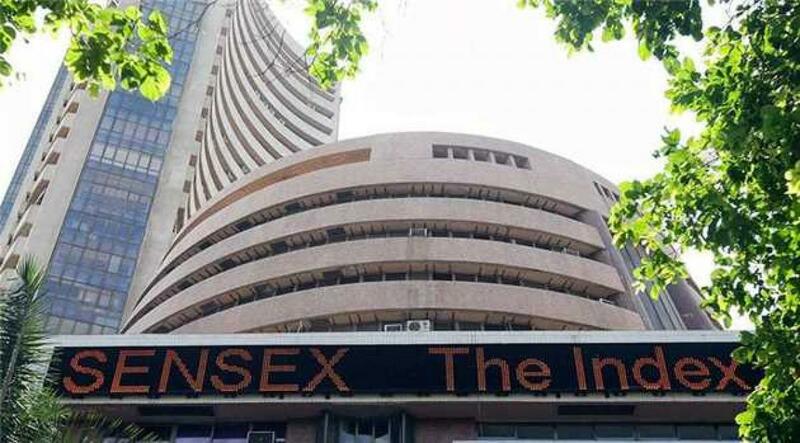 Since September 29, the barometer 30-scrip sensitive index (S&P Sensex) of the Bombay Stock Exchange (BSE) had gained a total of 1,418.97 points till October 7. "Indian markets which participated in the rally seem to be shrugging off the global uncertainty and are poised for a consolidation move," Sanjay Sachdev, chairman of ZyFin Holdings, told IANS. Nitasha Shankar, vice president, research with YES Securities, told IANS that the markets have entered into a minor consolidation phase following a decent rise from recent lows. "For the coming week, the markets could see a rise in volatility again which may lead to minor corrections in the markets, if it fails to sustain above the Nifty 8,220-8,250 mark, which is now acting as a stiff resistance zone," she said. "Bank-Nifty, could trigger minor corrections dragging it lower." Vaibhav Agrawal, vice president, research, Angel Broking, told IANS: "We expect profit booking to continue resulting in some downside early next week." The real deal-breaker for next week will start with major firms realeasing their second quarter results. The season kicked-off from October 5. Infosys will be the first bluechip to come out with its results on Monday. "Investors will be very cautious over the upcoming earnings season, especially after some information technology (IT) companies had come out with a negative guidance and outlook," Anand James, co-head, technical research desk with Geojit BNP Paribas Financial Services, told IANS. Interestingly, Monday will also see the government releasing the factory output data for August and inflation figures for September. Both the key data points will give future guidance to the RBI's next move on lending rates. "Better than expected Index of Industrial Production (IIP) and inflation numbers could, however, boost market sentiment," Agrawal elaborated. The Consumer Price Index (CPI) will point out any seasonal variations in food and fuel prices, especially after a below-average monsoon. The markets will bet big on the revival in IIP data on the back of healthy eight core industries' (ECI) output figures released on September 30. "The IIP data is expected to be positive," James predicted. The ECI comprises nearly 38 percent of the total weight of items included in the IIP. The ECI output had jumped by 2.6 percent in August from an increase of 1.1 percent in July. Notwithstanding the expected volatility in the coming week, Indian benchmarks are expected to continue on their positive journey pushed ahead by recent RBI monetary easing and lower chance of a US rate hike in October, said Gaurav Jain, director with Hem Securities. "Movement of commodities prices and interest of foreign portfolio investors (FPIs) will dictate the trend on the bourses," Jain said. Apart from the domestic cues, Indian investors will also watch out for September IIP and CPI data coming out from the US, as well as Chinese exports data which is expected to decline. For the week ended October 9, both the bellweather indices of the Indian equity markets gained three percent each on the back of lowered chances of a US rate hike, and a strengthening rupee. The barometer S&P BSE Sensex rose 858.56 points or 3.17 percent at 27,079.51 points from its previous weekly close at 26,220.95 points. The wider 50-scrip Nifty of the National Stock Exchange (NSE) rose 238.8 points or three percent at 8,189.70 points.